Thumbs Up or Down: How Would You Rate Southern’s Halftime Show at ULM? GRAMBLING, La. — The Grambling State University men’s basketball team has one more game left and maybe more as head coach Donte’ Jackson announced on Sunday evening that the Tigers will play the University of Texas Rio Grande Valley (UTRGV) in the opening round of the Collegeinsider.com Tournament. Tip-off against the Vaqueros is set for Wednesday at 7 p.m. from the UTRGV Fieldhouse in Edinburg, Texas. 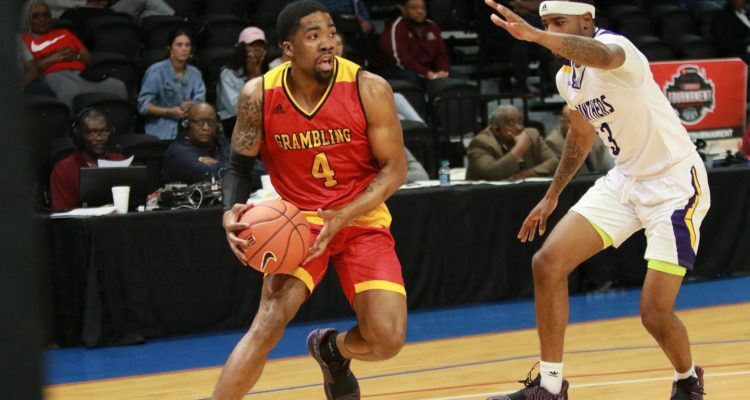 Grambling State (17-16), which will play in its first postseason game since an NIT berth in 1980, finished tied for third in the Southwestern Athletic Conference (SWAC) and was the fourth seed in last week’s conference tournament. The Tigers defeated Arkansas-Pine Bluff in the quarterfinals before bowing out to eventual champion Prairie View A&M in the semifinals on Friday. UTRGV defeated Cal State Bakersfield in the Western Athletic Conference (WAC) quarterfinals before falling to the top seed, New Mexico State, in the conference semifinals. Grambling State and UTRGV met last year in the regular season, with the Tigers rallying in the second half and outscored the Vaqueros, 57-42 in the second half, to pick up an 82-76 win on Nov. 25, 2017. In the matchup, Ivy Smith, Jr. paced Grambling State with 27 points, while Axel Mpoyo and Drake Wilks added 16 and 11 points, respectively.